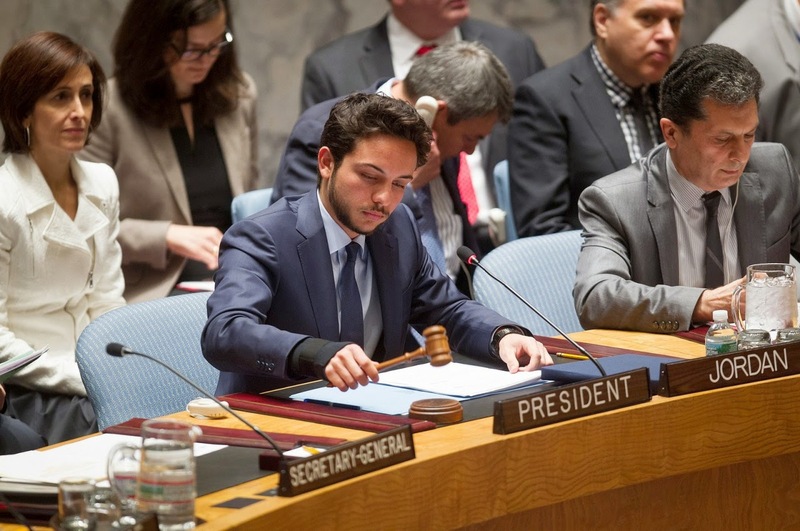 HRH Crown Prince Al Hussein bin Abdullah (*28th June 1994) was the youngest person ever to chair a UN Security Council meeting. The Council's meeting discussed “maintenance of international peace and security: The role of youth in countering violent extremism and promoting peace”. 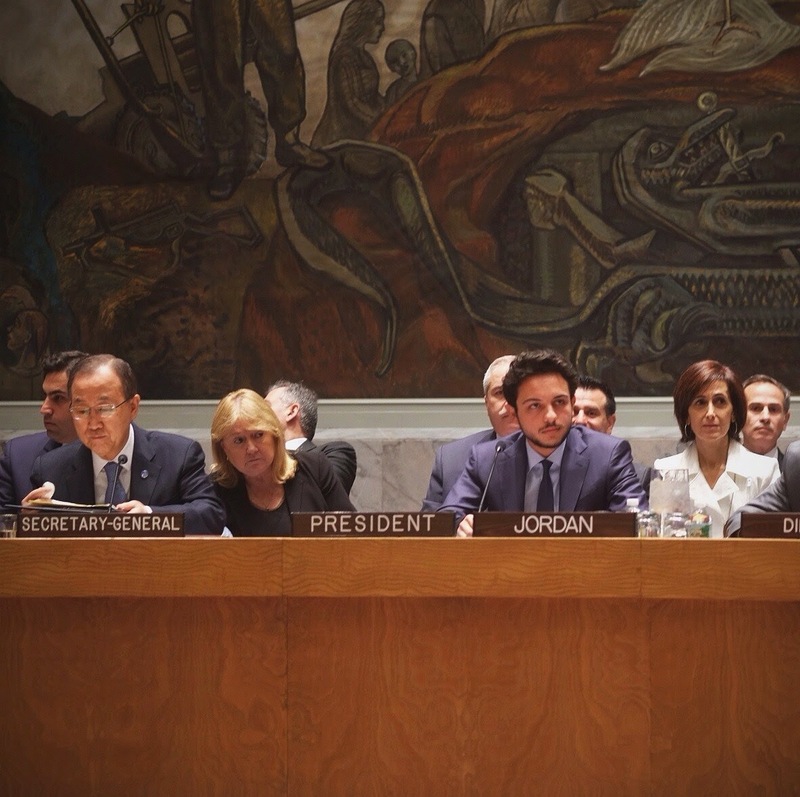 In his statement on behalf of the Hashemite Kingdom of Jordan Jordan, he said that terrorism is a disease that no country is immune from, calling on the world community to address challenges facing youths, who are the “prime victims” of extremism. He said that while youths are most susceptible to the present situation and its consequences, they can also have the strongest impact on the present and the future. “This has been evident in the recent events in my region. As a young man, who is part of this generation, I take part in debates about the challenges facing my generation and the need to empower youth,” he told his audience. The Prince stressed that young people are not a marginalised, but rather a targeted group. 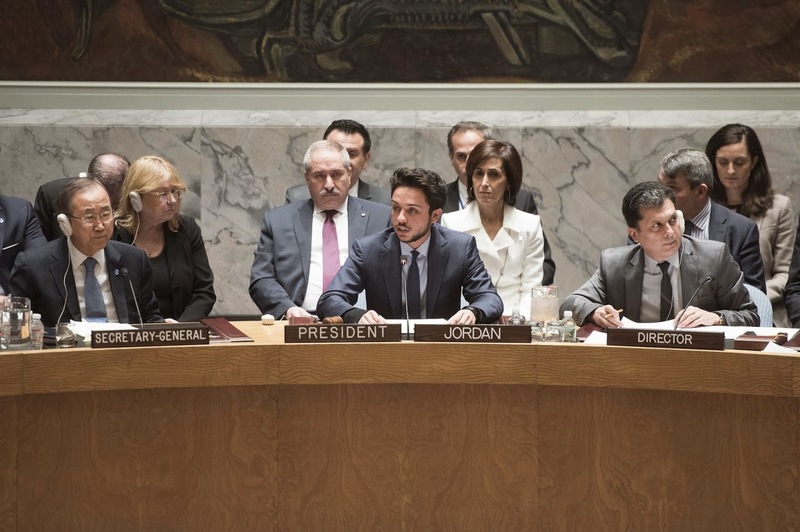 In his address at the session, the UN Secretary General Ban Ki-moon welcomed and thanked Crown Prince Hussein for chairing the session, pointing out that the Crown Prince has become the youngest person ever to chair a meeting of the UN Security Council. Ban said the Prince is “not yet 21 years old, but he is already a leader in the 21st century”.